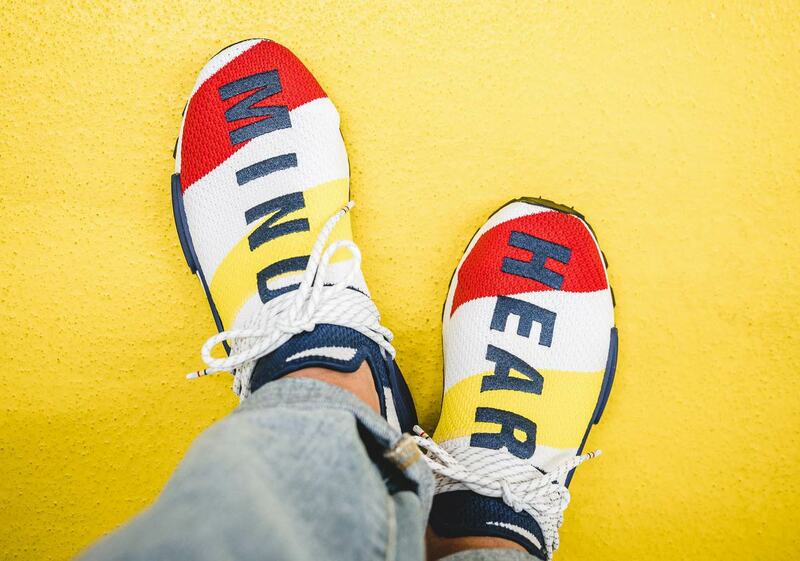 Pharrell Williams’ whimsical stylings and bold color combinations make for signature footwear that’s unlike anything else on the market. 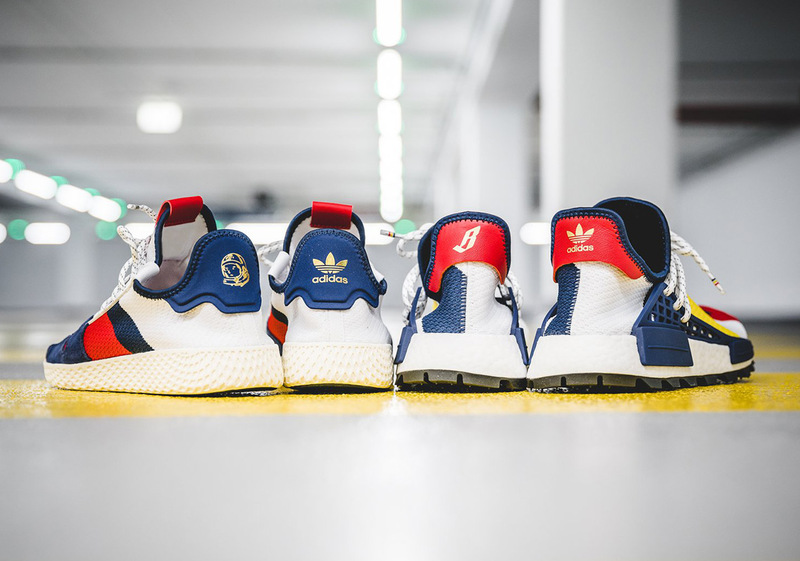 Everything from the color wheel to India’s Holi festival has provided inspiration for Skateboard P’s brightly colored kicks — and now he’s turning to his own Billionaire Boys Club label for special takes on both his adidas NMD Hu and Tennis Hu V2. 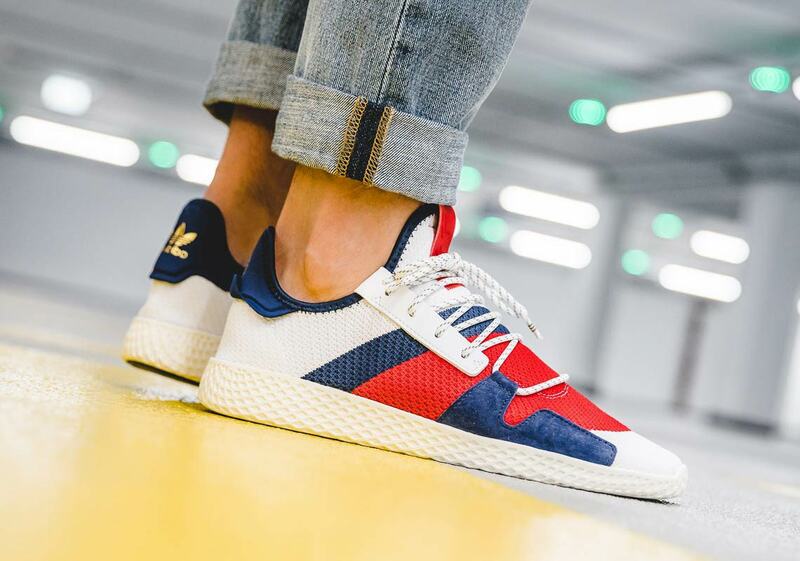 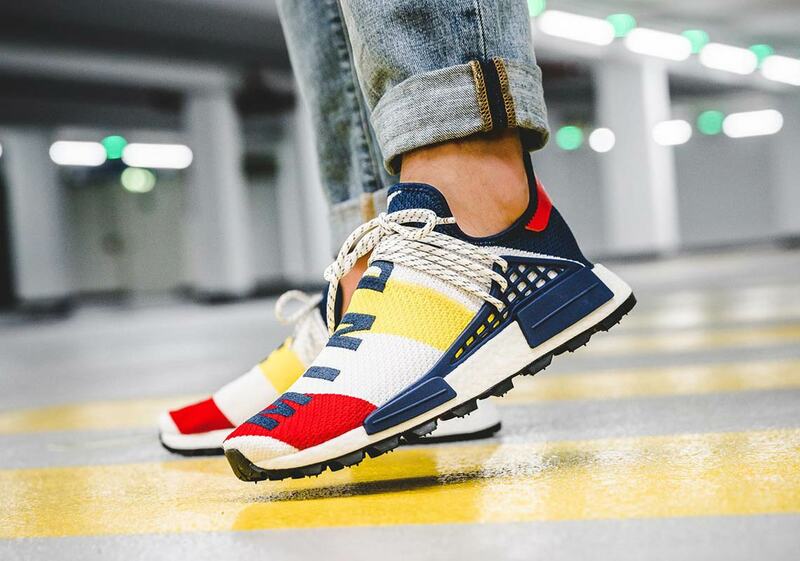 Dressed in a preppy nautical combination of white, navy, red, and yellow, each shoe features bold striped detailing and special gold-stamped hits on the heel: the NMD HU opts for BBC’s floating B, while the Tennis HU calls upon the brand’s classic helmet logo. 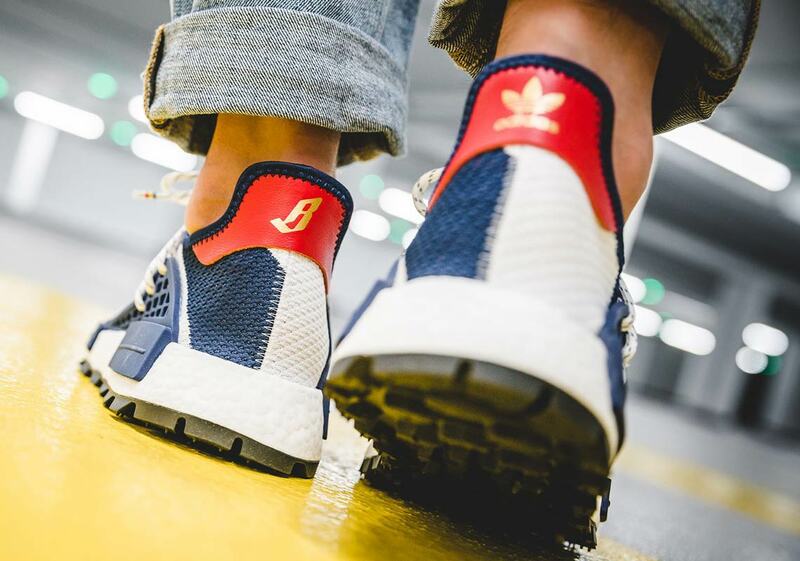 The NMD HUs also feature “Heart” embroidered in thick navy letters on the left shoe and “Mind” on the right — a nod to the brand’s long-time slogan, “Wealth is of the heart and mind, not the pocket.” The collaborative two-pack is set to release October 20th at Trefoil Brand stockists worldwide, so check out a Where To Buy section for each pair below to see where you can cop come release day.